BMW's Vision iNext concept previews an autonomous EV due in 2021. MUNICH -- BMW is planning the next step in its autonomous driving program, with a second-generation system that will likely debut before the middle of the next decade. The carmaker's head of research and development, Klaus Froehlich, said the industry is slowly waking up to the challenges of the technology and are reconsidering their options in order to reduce costs. Invitations remain on the table for other manufacturers including Volkswagen to join its consortium. 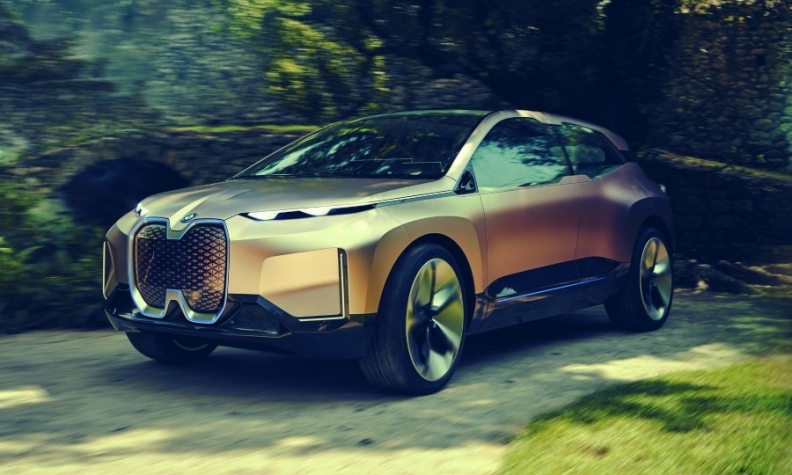 BMW's first-generation autonomous driving system is due to premier with the upcoming iNext, and invitations remain on the table for other automakers to join its consortium. The auto industry is waking up to the challenges of the technology and automakers are considering their options, Froehlich said. BMW is working with Fiat Chrysler Automobiles, Magna International, Intel and Mobileye to bring a new self-driving platform to the entire automotive market by 2021. The aim is for a scalable system that can offer all various stages of autonomy depending on the need all the way up to the highest, Level 5. "At the moment, I have a large amount of interested parties, but for the first generation it's already almost too late," Froehlich told Automotive News Europe on the sidelines of an iNext presentation in Munich. "Many OEMs are becoming aware of just how difficult this all is and they are approaching us so they can at least take part in the second generation," he said, adding this would likely debut around 2024. Volkswagen is also in discussions with automakers about forming an industry-wide alliance to split the costs and the risks of developing autonomous technology, and better insulate themselves from lawsuits. When asked whether Volkswagen had approached BMW, Froehlich said BMW was in principle open to discussions with every automaker. Froehlich said VW Group CEO Herbert Diess, a former career BMW executive, is careful about reining in costs. "It could be that Volkswagen approaches us," he said. Froehlich said there has been a trend toward collaboration, even if many competitors still want to publicly project the appearance that they are at the technological forefront.